The marketing campaign for arcade racer GRIP: Combat Racing is starting to take hold as we get ever closer to its launch on November 6 across the PC, PlayStation 4, Xbox One, and Switch platforms. The latest trailer (below) to come from publisher Wired Productions teases some split-screen action along with glimpses of tournament features, some snazzy visually customised vehicles, and we get a brief look at some of the range of environments we can expect to see this November. If you’ve noticed that GRIP: Combat Racing has more than a hint of arcade racer Rollcage, then you’d be correct as at least one of the development team at Caged Element has worked on the classic PlayStation 1 racer. 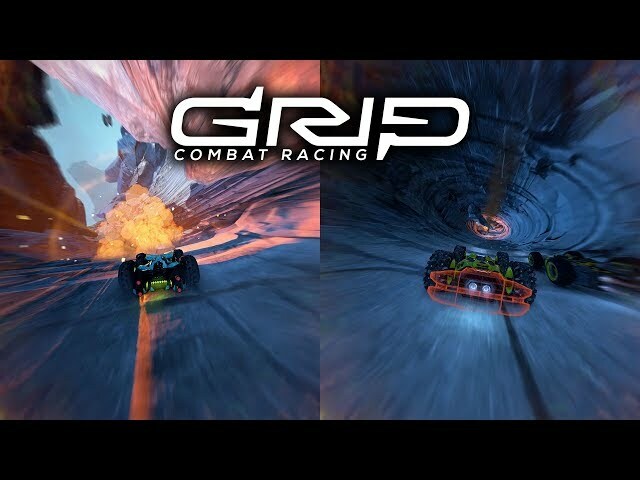 Earlier this month, GRIP: Combat Racing received a large update which, among other things, saw improvements to the physics, added 4-player split screen support and added a new 6-wheeled vehicle entitled “Terra Rhino” (presumably “Rhino” wasn’t intimidating enough). 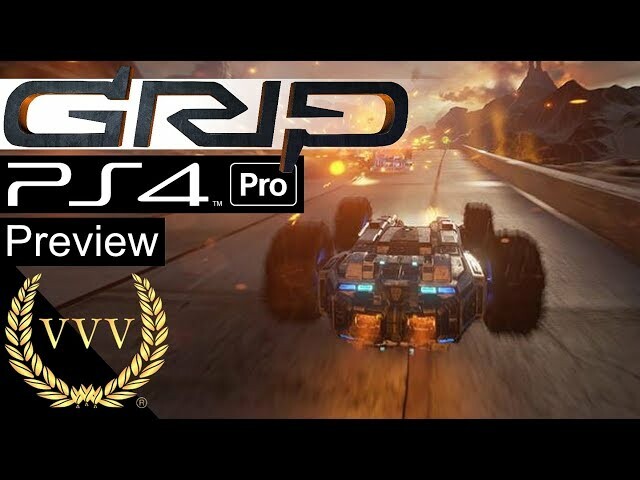 We’re very much looking forward to getting to grips with..err GRIP, as we’ve been impressed with preview versions of the title and how far the game has progressed since it was first playable. Let us know in the comments if you ever played Rollcage on the PlayStation 1 and whether or not GRIP: Combat Racing has you interested.